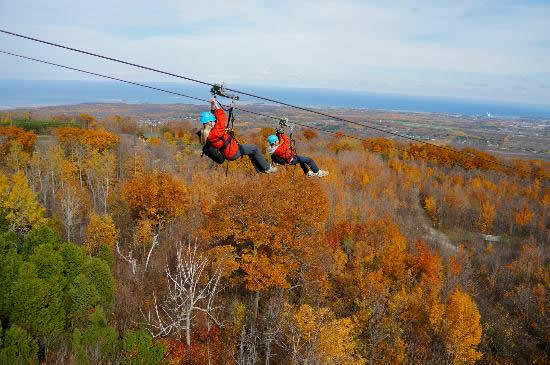 Three hours north of Toronto, the town of Collingwood is nestled in the heart of the Blue Mountains on the shore of the Georgian Bay. 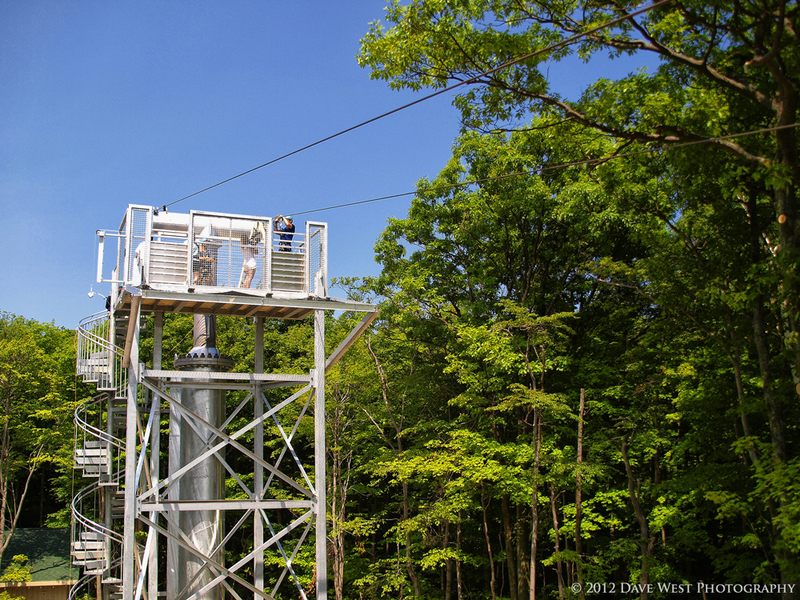 Just outside of town, Scenic Caves Nature Adventures has offered cave tours and outdoor activities since 1932. 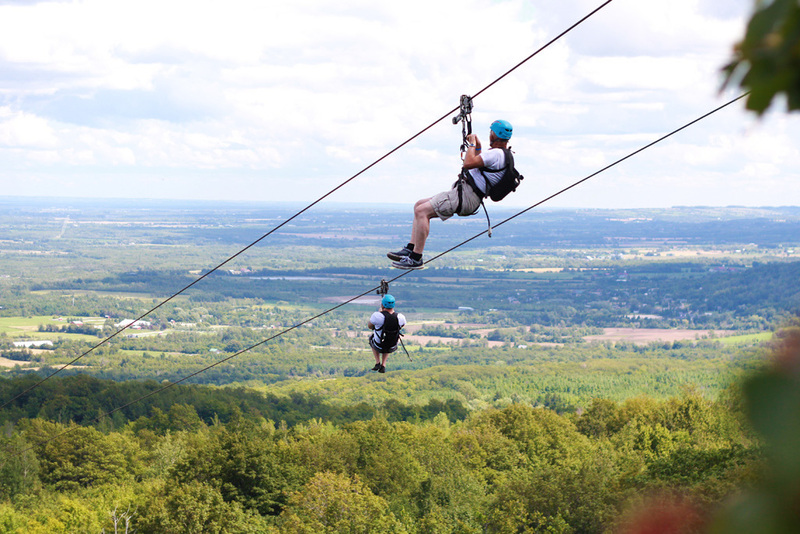 With the introduction of the ZipTour® Thunderbird Twin Zip, you can take your visit to Scenic Caves to new heights…literally! 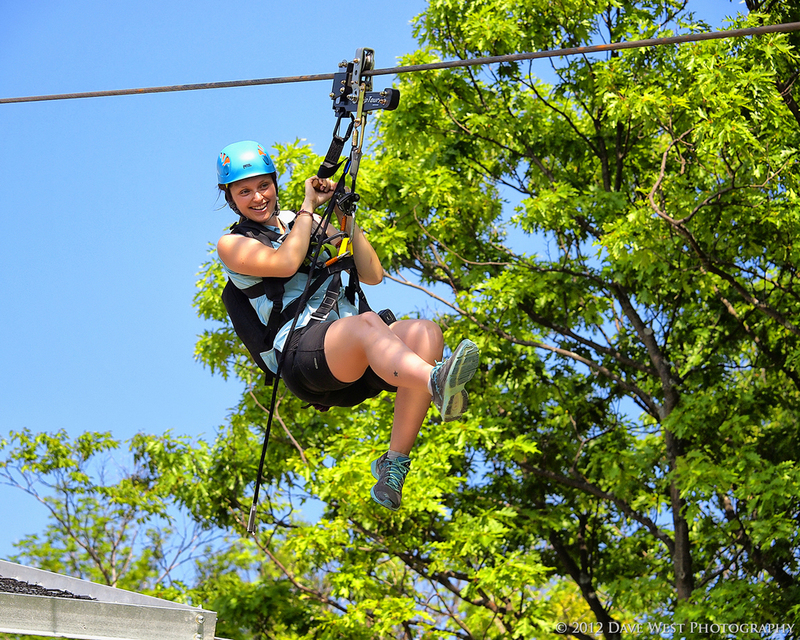 Once you’ve been outfitted with a harness and trolley, a short training session teaches you how to operate your custom ZipTour® trolley so you can control your own speed as you fly over the tree tops. 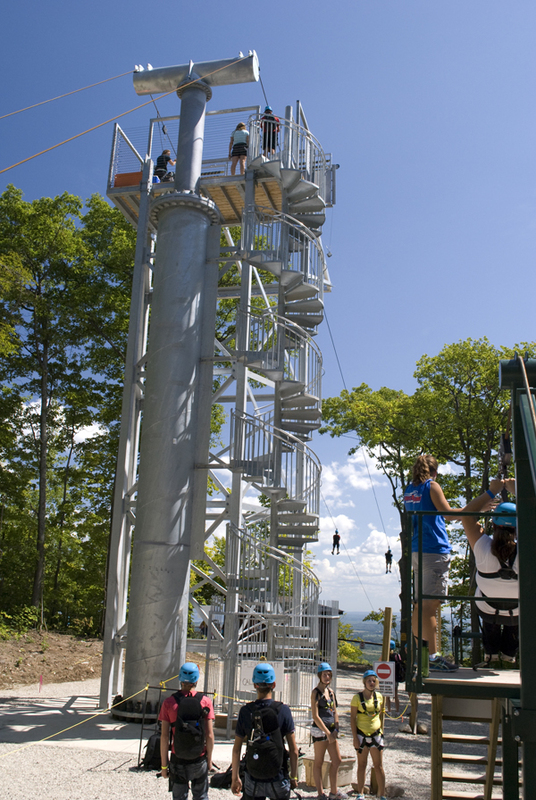 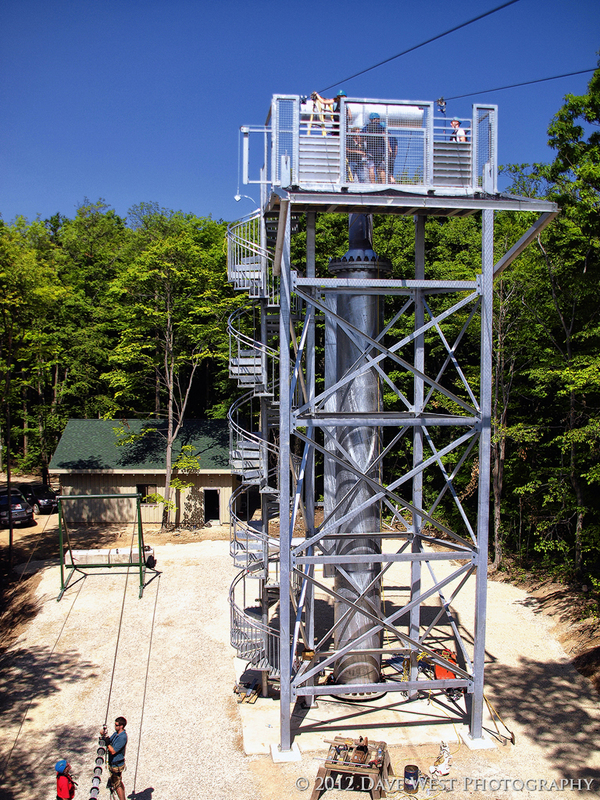 Climb to the top of the 50 foot tower and take a moment to enjoy the panoramic view of the surrounding mountains and across the Georgian Bay to Christian Island and beyond. 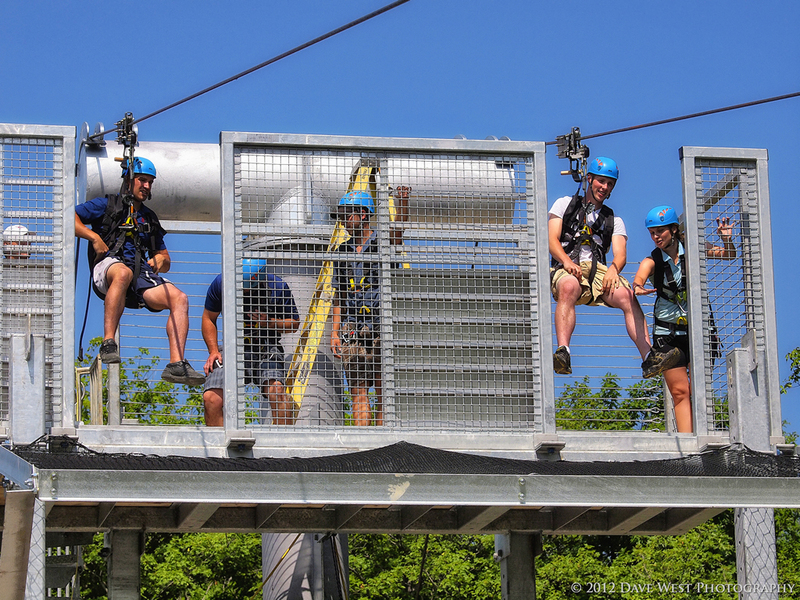 Once you are ready to go and the guide gives the word, pull down on your handle and begin the ride of your life! 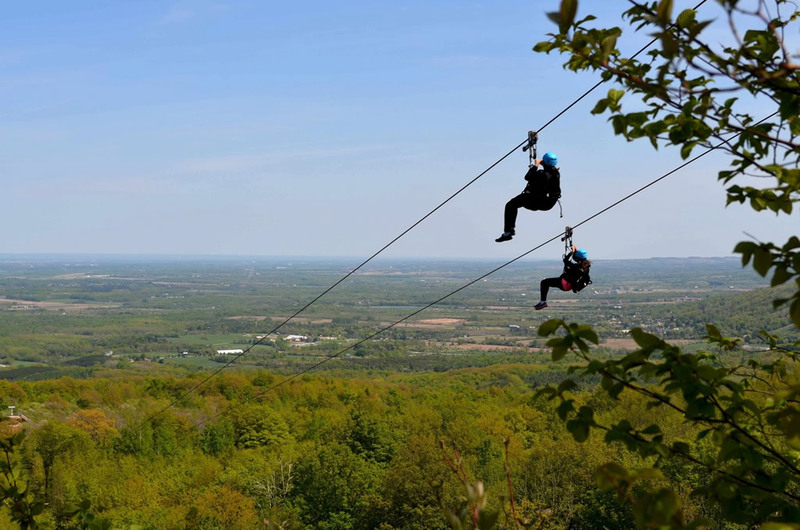 Launching off the top of the Niagara Escarpment will get your adrenaline pumping until you relax and take in your surroundings. 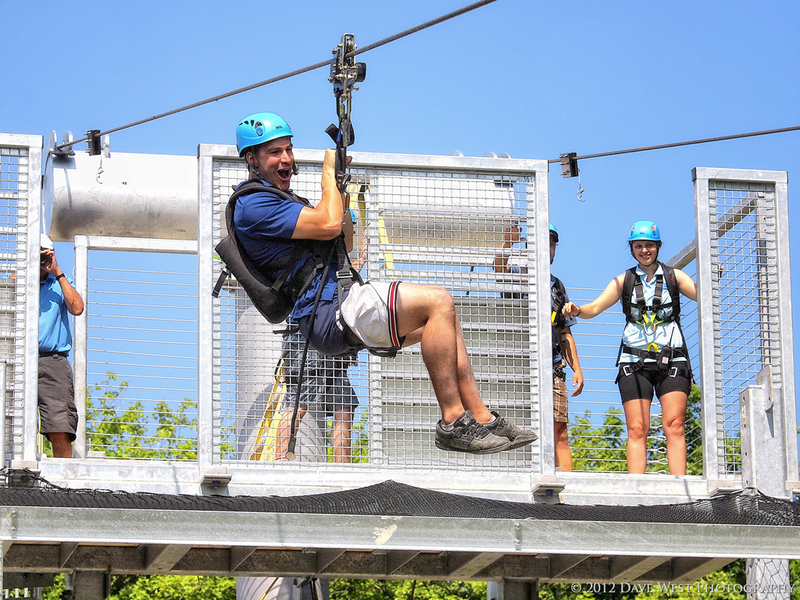 Race your best friend on the cable next to you, or enjoy a leisurely tour while pointing out sights to each other…You are in control of your own experience! 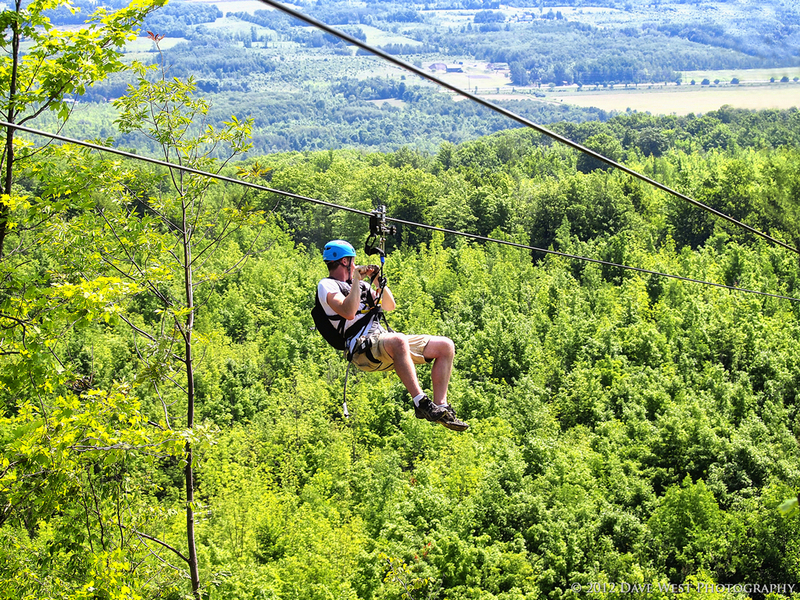 When you land in the valley below, you may be disappointed to once again feel the ground beneath your feet and miss the sensation of flying through the trees. 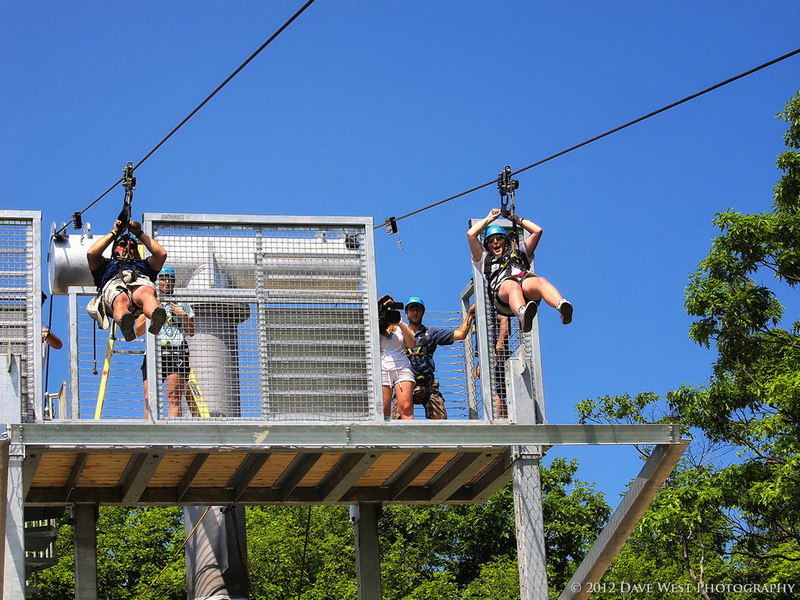 Don’t worry; the Thunderbird is open daily to feed your need for flight!